Virtual private servers, or VPS for short, are an excellent hosting choice for companies who are too large to benefit from a shared web hosting environment, yet still too small to justify the expense of a fully dedicated server. A VPS is like a shared hosting plan in the sense that many different people use the same server, yet like a dedicated server in the sense that each user has their own personal control over server assets and programming. VPS plans use the same physical server as other users, but offers each user the convenience, privacy, security, and application control of having their own separate physical server. Who is VPS Hosting Right For? You want the control of a dedicated server, without the expense. You need the ability to quickly upgrade or downgrade your plan. Having a physical server makes scalability and portability difficult. You need more security than the typical shared hosting plan provides. You want to protect yourself from hardware failure. The cost of two physical servers is a burden for most small businesses, but as all hardware will inevitably fail at some point or another, the VPS is a much more cost effective insurance plan. You don’t have the capital to hire an IT team to manage your own server. Why Consumers should Try a VPS Free Trial? 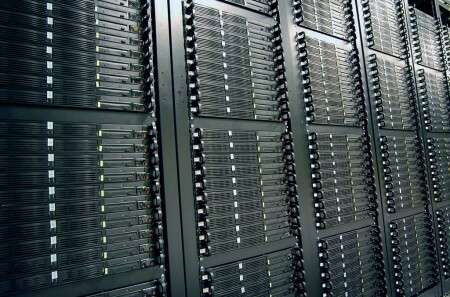 A VPS is a major investment for your business. Using a free trial with a hosting company is one way businesses can minimize their risk. The free trial period will give technical staff enough time with a host and its offerings to determine whether or not the company should stay with the plan, or move to another provider. Each of the companies reviewed here on VPS Free Trials offers customers a chance to test their service for free before committing. Not sure which VPS free trial option you want to go with? We’ve got you covered. We’ve reviewed the top providers offering free trials, and we’ve even got a comparison chart so you can see which company offers the best deal for your needs. If you are looking for WordPress specific hosting, then you’ll want to look at WPEngine and Synthesis as they are the two main hosts we recommend. To help you make an informed decision on WordPress hosting we’ve created 2 additional sites. Art of Blog — On this site you’ll find all the details of the best general WordPress hosts in the category. This includes entry level hosts and blazing fast VPS hosts like Bluehost. ManagedWordPress.org — On this site we’ve compared every major managed WordPress host on the market with the goal of giving you a simple snapshot of the market. It’s insanely useful if you are looking for a host that provides the added security and benefits of a managed hosting with the benefits of having a WordPress team on call 24/7.